Is the My Millennium hotel scheme worth joining? 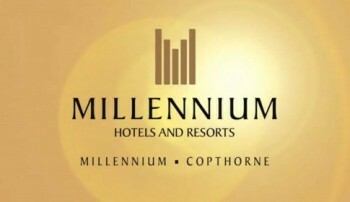 Millennium & Copthorne is a hotel chain with a presence across the UK, Asia and North America. It relaunched its loyalty scheme last year and – as many HFP readers may find themselves in a Copthorne hotel in the UK – I thought it was worth a look. Millennium Hotels, operating under the Millennium and Grand Millennium brands, runs over 50 five star and high-end four star properties. These are concentrated on major business centres. Some of these are managed by other groups, with the best known probably being the Millennium Hilton in New York, directly opposite the World Trade Centre site. Copthorne Hotels, operating under the Copthorne and Grand Copthorne brands, runs around 30 midscale properties, mainly in regional centres. It operates in the UK, New Zealand, Germany, Malaysia and Singapore. 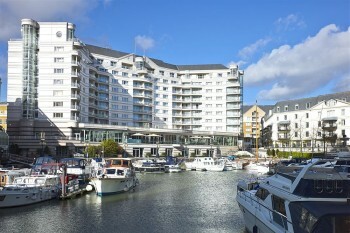 Leng’s Collection is a catch-all name for 11 other properties owned by the group, including M Hotel / Studio M, The Chelsea Harbour Hotel (below), The Bailey’s Hotel in London and the Hard Days Night hotel in Liverpool. It also owns Kingsgate in New Zealand and some hotels which are branded by other groups, such as the Grand Hyatt Taipei and the Novotel New York Times Square. The old M&C Loyalty Club was closed in late 2015. It was replaced with My Millennium – here is the home page. My Millennium is designed to reward guests who stay at those hotels owned by the group which are run under their own brands. This means, primarily, the Millennium, Copthorne and Kingsgate hotels. Hotels managed by other chains under their own brands, such as the Millennium Hilton properties, do not take part. There are 21 participating hotels in the UK, all branded Millennium or Copthorne as you can see here. The key reason to join My Millennium – even if you are only staying one night – is for free wi-fi. It is automatic to all scheme members at participating hotels. You earn 10 points for every $1 spent in participating hotels on the room rate. Food and drink spend earns 5 points per $1. This is the major change from the old M&C Loyalty Club which did not give any points at all for incidental spending. There are three status tiers. You begin as a Classic Member. Do I get status benefits if I book through Expedia etc? The scheme is sensibly structured and accepts that a small footprint means that most members will struggle to earn a large number of points. You cannot see the redemption price list without signing up and logging in. As well as free nights, smaller rewards include free wi-fi (not all hotels include it for free), food and drink vouchers, free laundry and spa treatments (three hotels only) and room upgrades. For a Premium member on 15 points per $1 of room spend, you would need to spend $1,333 to get a $50 food and beverage voucher. This is substantially worse than under the old M&C Loyalty Club scheme – where you only needed $900 of spend – but remember that food and drink spend did not count previously. The net difference is probably small as long as you are eating in the hotel. $800 gets a Premium member three pieces of free laundry, which is the same as the old programme. Room redemptions are based directly on the cost of the room you want. I ran a few examples and it works out at roughly 0.2p per point. That means, for example, that 20,000 points would get you either a $50 food and beverage voucher or £40 of free room. Unlike most hotel loyalty schemes, there is little extra benefit in redeeming for free nights compared to other options. Very roughly …. if you earn 15 points worth 0.2p each (3p in total) for every $1 spent on your room, you are getting a return of around 4% on your room rate and even less on your food and drink spending. A Gold member would be getting a 6% return on room spending due to the 50% points bonus. This rate of return is poor compared to other leading hotel programmes. It is even worse when you factor in the generous bonus offers regularly run by Hilton, IHG, Accor etc. Can you convert points in or out? No. It is not possible to convert your points into airline miles. You also cannot convert any credit card or other points into My Millennium points. You CAN earn airline miles instead of points – see below. It seems so. A Head for Points reader confirmed to me last year that he was status matched to Gold. This is worth considering if you are looking at a Millennium or Copthorne stay. Being matched to Gold would mean you were earning a 50% bonus on all your points from day one, and you would also have the two Club Room upgrade vouchers to use. Do you want airline miles instead of loyalty points? Millennium & Copthorne has a number of airline partnerships, although they do NOT work with Avios. The most logical choice for a UK resident is Virgin Atlantic Flying Club. As you can see here, you earn 1000 miles for a Millennium stay and 750 miles for a Copthorne stay. Details of their other airline partnerships can be found here. Unless you are working at a client based near a Millennium or Copthorne property, it is unlikely that My Millennium will become a key programme for you. For occasional stays, you will probably be better off taking Virgin Flying Club miles rather than being stuck with some potentially orphaned hotel points. If you do have regular stays, Millennium & Copthorne has some high quality hotels in its portfolio and you may be able to leverage a run of stays at the Copthorne Sheffield into something more glamorous elsewhere! My Mum used to swear by this chain but I don’t think we’ve ever been in one. May give it a try sometime. This is the only article online about M&C. It will rank top on Google for the few people a day who want to learn about them. Fine by me. Lol indeed, worth it for that aspect as you say but if I was the head of their loyalty scheme I’d be a bit disappointed! Well seeing as we are the only ones here and it’s Friday night – virtual G&T anyone? My shout. Haha great idea! 😛 Now on a train to Edinburgh earning 500 Nectar points – I suspect I’m fairly unusual actually taking a journey! Firstly thanks to Cate for breaking the duck on the comments, I was holding off determined not to be first. I have a soft spot for Millennium, along with collecting VS miles by flying Malaysia to NZ, it was my first foray into collecting miles by stating at a hotel. Their Rotorua hotel was pretty cool with adjacent hot spring pools when I stayed there way back in 2000. Nice, I ended up staying at the Holiday Inn when I was there – however it was on an IHG Points Break so amazing value (and even a nice upgrade too thanks to manager at one of the London HIs getting in touch with them after I had a poor stay at his property!). It’s an account that is handy to have for the various money-off promotions and the internet access – but wouldn’t make much effort to accrue points. Over the last 25 years, I’ve probably spent around 2 nights a year staying in the Copthorne Tara. It’s one of those hotels that are functional and well located – although last time I stayed in the Holiday Inn (what was the Kensington Close) next door. Just to add to the general lack of interest tone in the comments here 🙂 if early checkin or late checkout benefit is not actually guaranteed by a hotel program, then for me it doesn’t exist. I simply can’t take into account any non-guaranteed benefit.